Technicians lower the crew module for Ascent Abort-2 onto a stand at Johnson Space Center in Houston on March 2. 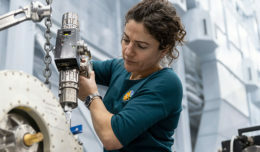 Engineers and technicians at NASA’s Langley Research Center in Hampton, Va., modified a previously built Orion test vehicle for the flight. Development hardware from the Pad Abort-1 test is being reused and components such as radio frequency transmitters have been repurposed to support characterization and integrated tests. 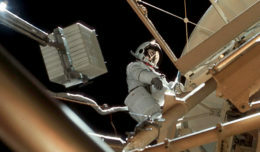 Shuttle heritage hardware, such as pyrotechnic control cards that otherwise were not being used, are being integrated into flight designs which allows the team to avoid building or building everything new. Flight and ground software architectures have been evolved from other development projects. Engineers involved in outfitting the crew module simultaneously are being trained to be flight controllers who will supervise the test when it launches from Cape Canaveral Air Force Station in Florida. Since the engineers involved in the work are extremely knowledge about the vehicle’s systems, they are being trained as operators and builders at the same time. Several milestones lay ahead of the team now that the crew module has arrived at Johnson. In the spring, various subsystem elements will be incorporated into the vehicle. In June, it will be powered “on” for the first time to ensure all the proper connections are made and the vehicle can execute its flight profile. After testing and verification, the crew module will be attached to a test rig and rotated sideways so engineers can once again measure mass and center-of-gravity. These attributes must mirror those projected for the first Orion with crew to ensure the AA-2 crew module will provide representative data. 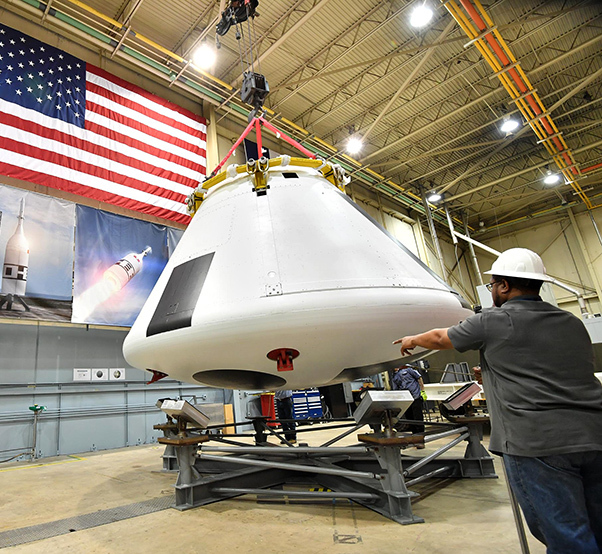 Once complete, the crew module will be sent to NASA Glenn’s Plum Brook Station in Ohio, where it will undergo testing in an acoustic chamber to characterize how the structure will react to the abort environment. 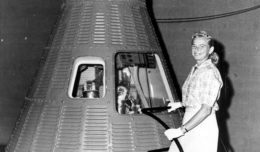 While the crew module is at Plum Brook, a separation ring that will connect the capsule to its booster will arrive at Johnson and be outfitted with wiring and other necessary elements. The crew module will return to Johnson in September and be mated with the separation ring before the two elements are then tested together and shipped to Kennedy Space Center in December. NASA’s work to build the test article and execute the flight test is a combined effort between the Orion Program and Advanced Exploration Systems Division at NASA Headquarters in Washington.